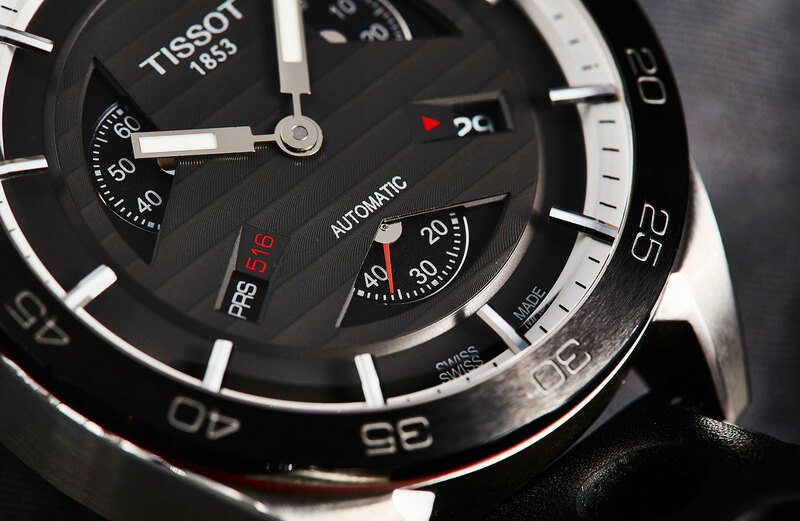 One of the most surprising watches I’ve seen this year is the Tissot PRS 516 Triple Seconds. 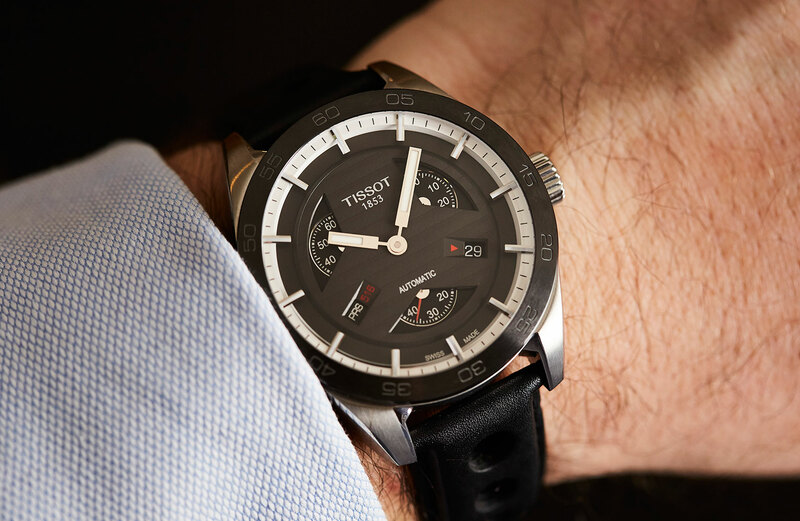 Tissot has taken their stalwart, sporty PRS and given it a smart makeover, and it does it at a very competitive price. At first glance you’d be forgiven for thinking that this watch is a chronograph, after all the PRS is a pretty sporty line. But look again and you’ll notice that the dial and lack of pushers doesn’t add up. Instead those three subdials all display running seconds, but in 20 second increments. So the first 20 seconds are displayed on the top right dial, the second 20 at the lower dial and so on. It doesn’t really add much in the way of functionality to the watch, but it’s a fun idea that’s been well implemented. 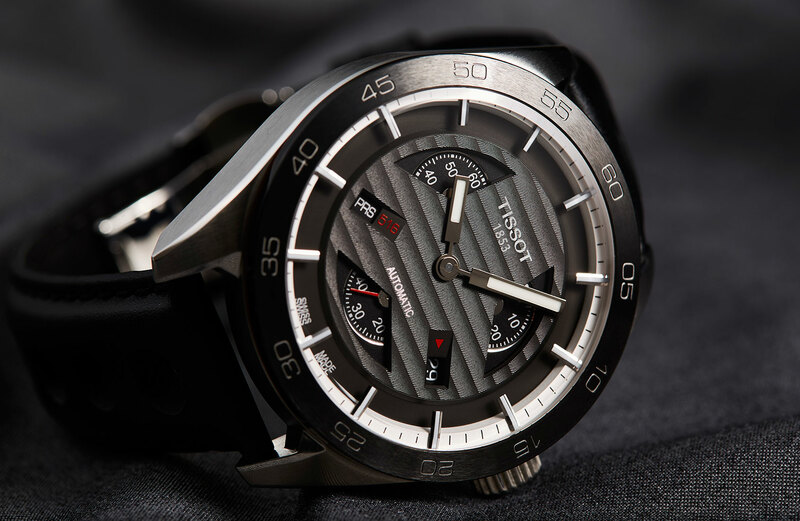 Tissot has used the dial cut-outs to create a relatively subtle steering wheel shape, realised in a black, industrially brushed finish. The dial is remarkably balanced, with each ‘spoke’ of the dial displaying just the right amount of text. I’m particularly impressed by how the ‘PRS 516’ branding is perfectly balanced by the date aperture at five. The hands and floating indices provide a great counterpoint as well, they’re almost retro in appearance, and supremely legible. One or two of these details would make for a nice dial, but all these elements together make for a great one. The fun doesn’t stop on the dial though. The bezel is ceramic, which is great value at this price point. The rest of the 42mm case is well done too, with high brushed sides and shapely lugs. Turn the watch over and you get a view of the movement, partially obscured by a more overt version of the steering wheel motif we saw on the dial. 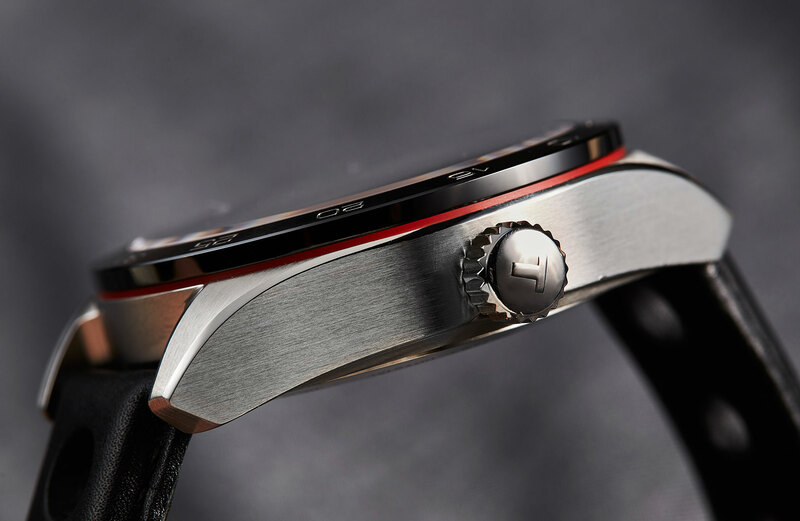 The movement itself is the ETA 2825 – and no, that’s not a typo – it’s basically a 2824 that’s been tweaked to allow for the triple seconds feature. Nothing particularly earth-shattering, but still a nice little extra. So, to recap, the Tissot PRS 516 offers sporty-yet-uncluttered design that manages to blend old and new school, and throws a neat twist on a seconds hand AND a ceramic bezel into the mix. It manages to do all this for $1475. Sure, there might have been better value propositions released this year. But not many. 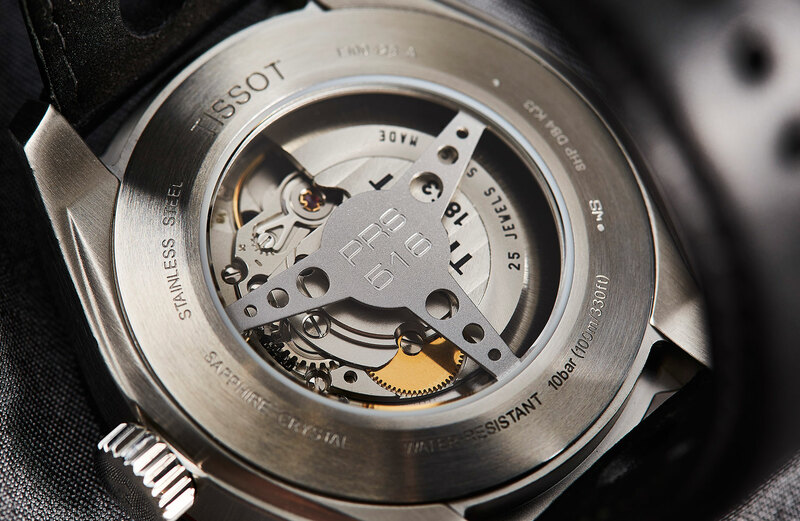 The Tissot PRS 516 Automatic Small Second, ref. T100.428.16.051.00, $1475.